When it comes to property division during divorce, Georgia is an equitable distribution state. The court is obliged to divide assets and debts in a way that is fair. The court does not automatically order a 50-50 split, but considers numerous factors pertaining to the marriage that might justify giving one spouse a greater share of the marital estate than the other. In light of the discretion the court wields, it is critically important that you have an experienced divorce attorney managing the equitable distribution of your property. 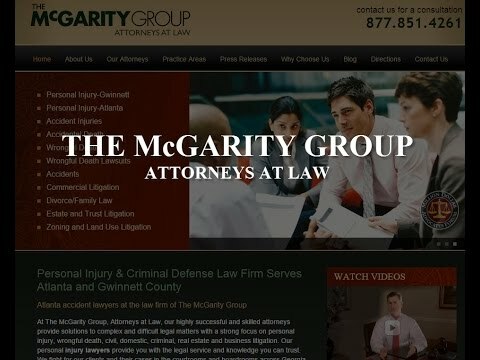 At McGarity and Efstration, our skilled litigation attorneys know how to use the law and court procedure to obtain favorable results for you. Couples are permitted to negotiate a property settlement and present it to the court for approval. Couples who have a prenuptial agreement can draft a settlement on that basis. The court will approve the settlement provided that the marital agreement is valid and the terms of the settlement are not grossly inequitable. Identification — Each spouse makes a detailed financial disclosure, revealing all assets and debt, declaring whether they are separate or marital property. A spouse’s separate property includes assets acquired prior to the marriage, gifts or inheritances received during the marriage, and property designated as separate in a marital agreement. Separate property is held out of the marital estate, and is not subject to distribution. Our divorce attorneys know how to use the discovery process to learn whether opposing parties have hidden assets or made fraudulent transfers to place assets outside of our client’s reach. When appropriate, we challenge an opposing party’s designation of an asset as separate property to get it added to the marital estate for distribution. Valuation — In order to get a fair result, we must have an accurate assessment of the value of each asset in the marital pool. Disputes often arise about the true value of assets whose worth is subject to market forces, such as real estate, stock options, professional licenses and family businesses. Distribution — The court has a lengthy list of factors to consider when deciding how great a portion of the marital estate should go to each party. Often, the family home is at issue. Generally, this is the most valuable asset, and the marital estate lacks sufficient funds to compensate one spouse if the other gets ownership of the house. Retirement plans also pose a challenge to divide fairly. Equitable distribution is a complex process, especially for affluent couples. To get the best result, you must choose an experienced attorney who knows how to protect your rights every step of the way. Your standard of living after divorce depends on how well you protect your property rights during divorce. McGarity and Efstration gives personal attention to every detail of your equitable distribution litigation. To schedule a consultation with an experienced divorce lawyer, call our Buford or Braselton office today at 877.851.4261 or contact us online.